Join us for our 7th Annual Coyote Crush Hunting Event! 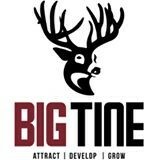 Big Tine is hosting the 7th Annual Coyote Crush event. We will be donating 50% of the earnings to the Wounded Warriors In Action Foundation. Join us to support Purple Heart Veterans and see who can bring in the most coyotes! Meal and door prizes at conclusion of hunt on Sunday.